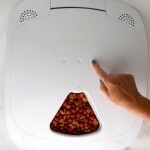 Cat Mate C50 Automatic Cat Feeder Review - Is It What Your Cat Needs? 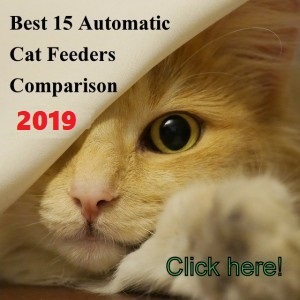 (3.6/5) The Cat Mate C50 automatic pet feeder is a popular dish food dispenser so if you are thinking about buying this device, this review will give you all the information you need to decide if this solution is suitable for your needs. 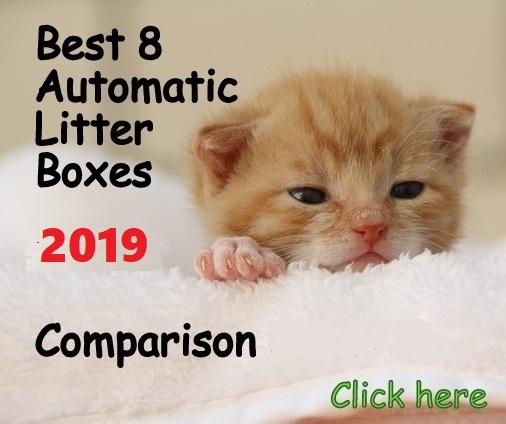 Cat Mate C50 Automatic Pet Feeder serves up to 5 meals, one meal is covered by a removable lid and is meant to be served at the present time. The 4 rest will be served at the scheduled mealtime. The dispensing system works through a rotating lid that exposes one by one all of the 4 compartments that will serve the food at the programmed time. With the Cat Mate C50 you can feed your cat dry, moist or wet food. It works with an analog timer (dial) and rotates by set times with a minimum of 4 hours between the current time and the first meal and 6 hours between the first meal and the second one. The feeder features a 90-hours length mealtime program. 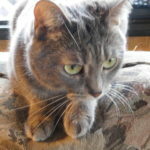 If you feed your cat moist food, you can keep it fresh by two ice packs underneath the trays. 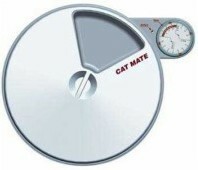 The Cat Mate C50 works with 1 AA battery that is not included. It serves up to 5 meals per day. It works with an analog timer. 4 programmable meals, easy to set with the analog timer. 4-6 hours minimum intervals between each meal time and 90 hours ahead program. It works with rotating lid system. It requires 1 AA battery. Twin ice packs to keep food fresh. √ Fill the trays with food and wind up the lid in a counter-clockwise direction. √ As the timer moves, a catch will release at your set times so that the lid will move clockwise to reveal one tray at a time. √ You have to make sure start button is turned “ON” and the dial is rotated. 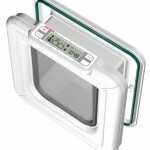 NOTE: The Cat Mate C50 uses European time system on the timer (1-24, rather than 1-12 A.M. and P.M. as in the USA). 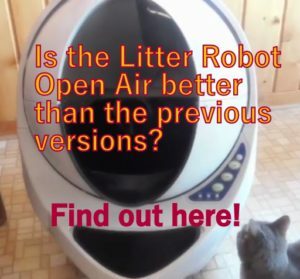 What are the Pros and Cons of the Cat Mate C50 pet feeder? Capability to dispense up to 5 meals (one at present time). The analog timer can be set up to 4 meals (with a minimum of 4 hrs. intervals between each time). Good for feed your cat moist and dry food. Food compartments have good size and each one holds up to 2/3 lb. (300 g.) of moist food. The tray food and lid are dishwasher-proof. Twin ice packs keep moist food fresh. It has battery condition indicator. 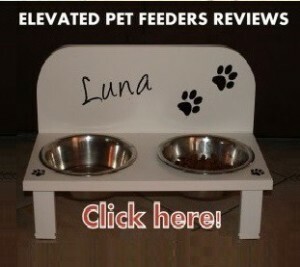 Very smart cats can break into this feeder knocking the timer cover off and moving the dial with the paw or mouth. Difference between each meal cannot be less than 4 hours. Ice packs seem to melt completely from 4 up to 10 hours, depending on the weather. Instructions are a little tricky to be figured out. Battery (on the bottom) lack of strong protection from dropping out. 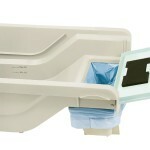 Trays cannot support heavy amounts of moist food otherwise, lid won’t rotate. 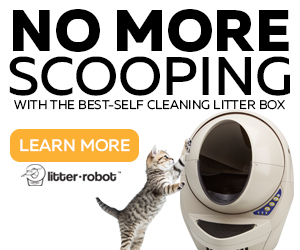 It is recommended to do several tries with this feeder and checking the system before leaving your pet alone. Make sure to use a fresh battery. Item has an indicator reflecting battery movement by sight. If using moist food it’s a good idea to get an extra set of ice packs to back up next day. Tape the battery underneath the dish to prevent it from dropping out. 1. A cat obsessed with food or a very smart cat can break into this feeder, move the dial with its paws, pull out the tray using its claws, and so on (this is not usual, but it could happen with a mischievous cat). 2. A cat that does not behave with this type of dish feeder could try to get food from it, moving it and tip it over. This means that your cat could end up being alone at home with no food to eat. To be used for a couple of days or weekends if using dry food. For one day (no more than 12 hours long) if using moist food. 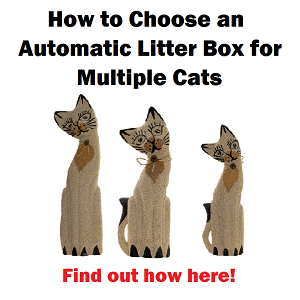 If you want a feeding schedule for your cat with less than 4 hours intervals between each meal. For more than 2 days away from home. 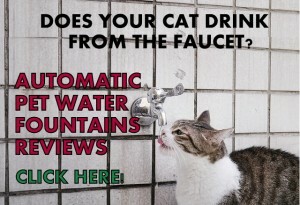 For wet food, if you want to use it to feed your cat several days. If you’ve got cats used to food enrichment toys (like mine are) then this automatic feeder isn’t the best option as it’s fairly easy for the cats to break into the next compartment. Thanks for sharing your experience with this feeder, Evelie. Cats that have mastered toy feeders have developed much more their ability to resolve “problems” to get the food. Thanks again! Hi, thx for the review. How do you do to set up minimum 4 hours between each meal? I cannot set up less than 6 hours… thx. Hi Juan, the timer of the Cat Mate C50 is analog so it won’t be as accurate as a digital one. But answering your question, to setup each meal with 4 hours difference you need to start positioning the tray on the zero position. Then to start setting up the first meal time with 4 hours ahead of your current time. For example, if you setup the feeder to dispense the first meal at 7 am, you need to program it the night before. To setup first feeding time you need to move the dial to the arrow where is says “today”, then the second meal for the 2nd day, and so. If you see close you will notice each day has little lines dividing the 24 hours with bolded divisions at 6 am, 12 pm and 18 hrs (6 pm). To setup 4 hours apart place the time arrow in the hours for the different meals (days) making sure to setup times that are 4 hours apart. For example the first meal at 8 am, the second day at 12 pm, and so. I hope I could help you. So far my cat feeder has never advanced. I have put a number 1 on one side and a number 2 on the other side and neither side has advanced.. I hear the timer ticking but it never moves. The freezer things would never be good past one feeder much less two. 1. Once the battery is installed the black switch must be moved to start. 2. The current time must be set in the today sector of the timer dial (area shaded in red). 3. The first meal (red tab white triangle) must be set a minimum of four hours from the current time. 4. The second meal will be a minimum of six hours from the first. 5. Once all of the desired meal times are set the lid must be placed on the unit and then turned counter clockwise to bowl “0”. If you followed the above steps and the unit still doesn’t work you should contact them for a refund.